Chris Christie has it in for cannabis users. Legislators in New Jersey have approved cannabis for PTSD. But it probably won’t happen. New Jersey legislators approved a bill that would include PTSD as a qualifying condition for medical cannabis in the state. That might sound like great news, but there’s a catch. Do you remember who has to sign it first? The governor. And New Jersey has the dubious honor of hosting one of the worst prohibitionists in history as it’s head honcho. Chris Christie, the man who would have seen legalization overturned if elected President, runs the show in the Garden State. 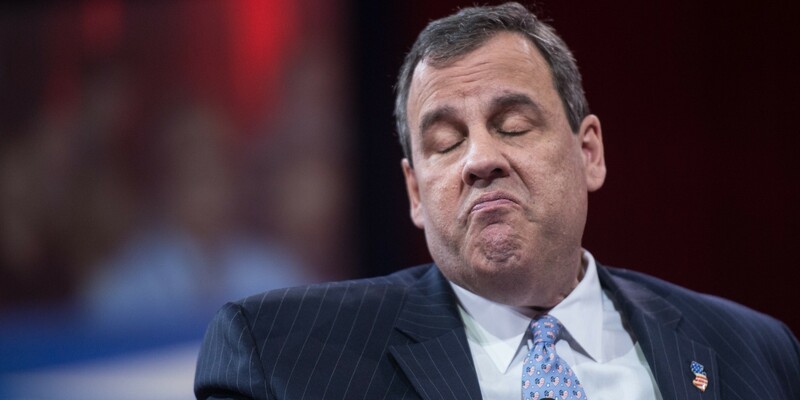 Earlier this year, Christie rejected a proposal that would expand medical access in the state. His justification to reporters in April was a pointed accusation against other states. The reason why it hasn’t gotten the response it’s gotten in other states is because ours is a truly medical-based program for only people who have true illnesses that require medicinal marijuana. Other states have programs that are faux medical-marijuana programs that allow for recreational use. Cannabis has shown to act as an effective treatment for PTSD, especially for veterans. But the lack of randomized, controlled trials has kept the VA from allowing their doctors to recommend it for patients. In fact, that same reason has kept various states from adding it to their lists of qualifying conditions, including Colorado. For many veterans, the effects of PTSD are not always healed by time and can be lasting and profound. When it comes to PTSD, medical marijuana holds the promise of providing significant relief as it does for many other illnesses and conditions that are not easily treatable with traditional medication. Each day, an average of 22 veterans commit suicide due in part to combat-related PTSD. Recently, both Houses of Congress passed wording for the VA Spending Bill that would have allowed vets to consider cannabis. But in a deceptive maneuver, the committee that reconciled the language of the two separate proposals stripped the mention of cannabis from the final measure. Veterans – especially post-9/11 veterans – are the group most affected by PTSD. The VA has stated that it wants each veteran to find the medication with the least amount of side effects that allows them the optimum level of independence. For many, medical marijuana is the drug that best fits that criteria. Will the decision be a surprise? Chris Christie has it in for cannabis users. The decision for him seems almost automatic. Even more alarming, should Donald Trump win the Presidential election, Christie is a prominent consideration for Attorney General. In that role, he could (and most likely would) attempt to strip states of legal cannabis as easily as if he were President. Many politically savvy minds remember his dirty dealings with bridge repairs not so long ago. Would it be so surprising to see him shut down another one? Should dirty politicians even be able to stay in office? Why do so many get elected? Share your worries with us on social media or in the comments below.